The day started a bit foggy, making us sceptical if we would have a fine day. Later it turned out to be a good day to go out and have fun. 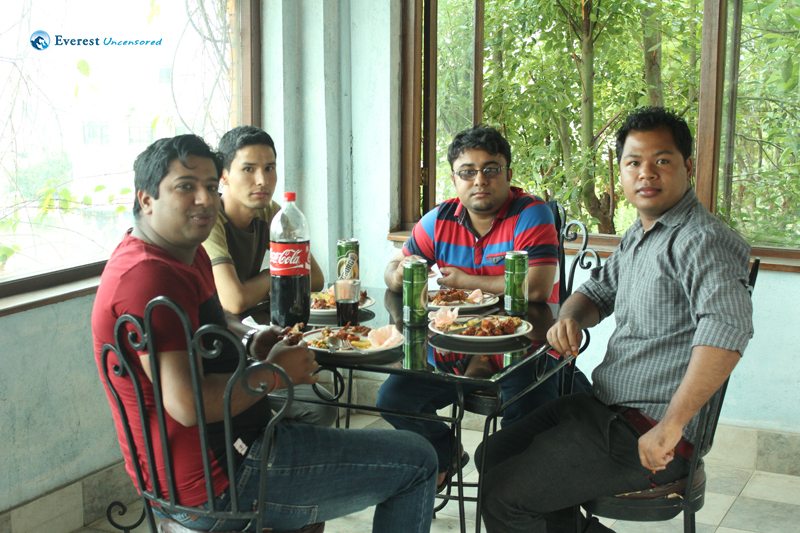 Since our destination was quite near, the time for the departure from office was scheduled at 1:30 pm. But it was nearly 2:30 pm before we could move. But we never had to worry about reaching the destination late as we were only about 16 km away from the destination and we had Umesh dai as our driver. Some friends were picked up on the way. After about 40 minutes of ride, we reached our destination, Khusi Khusi Resort. 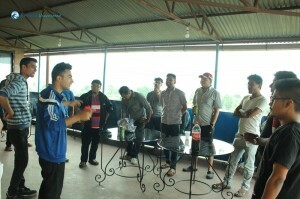 The resort seemed a little bit small but had cozy rooms, a common hall, a barbeque hall, nice terrace with views of the Kathmandu valley and nevertheless the very presence of the swimming pool everyone had been eagerly waiting for. 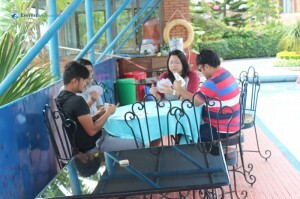 We waited for other team to join us at the resort. 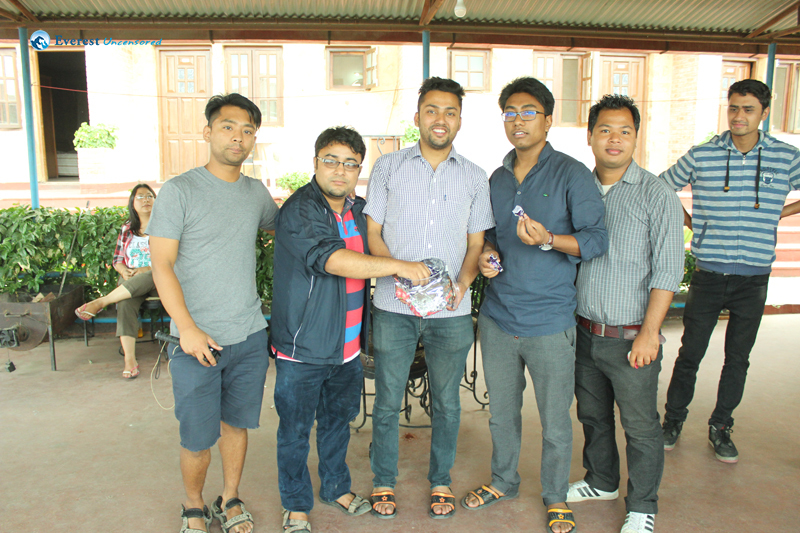 Rajiv Manandhar and Sujesh Shakya showed it was effortless and to cycle all the way to the resort from home. They had even reached earlier than the official shuttle service. Some of us joined by using their own vehicle. 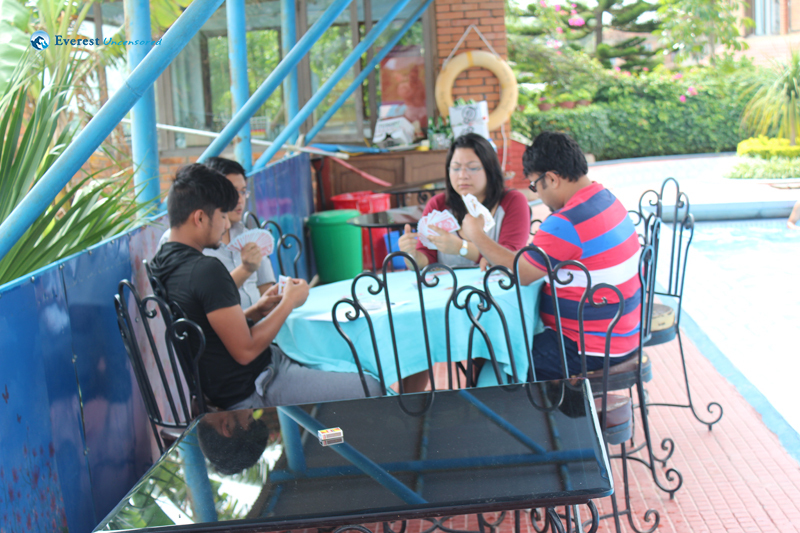 A little bit of time to check in to own room and be fresh before starting the team building games. 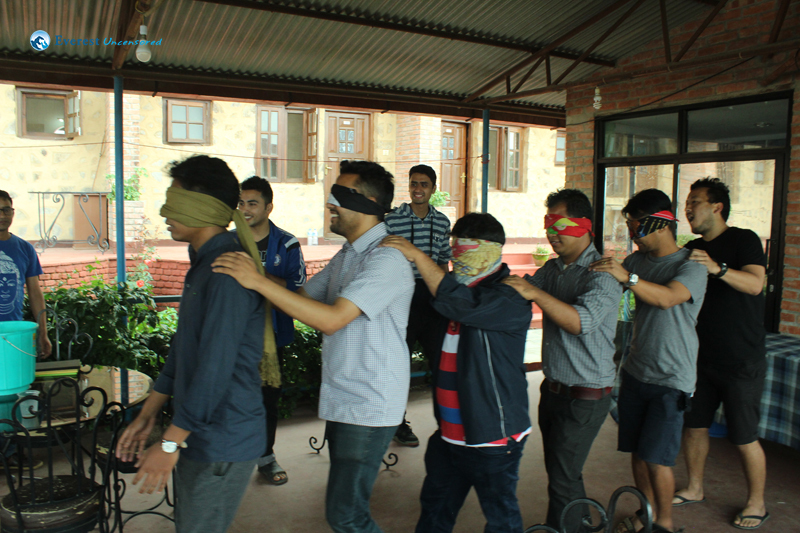 Rajeev Tamrakar and Sunit Chudamani Bajracharya had packed a set of interesting games for Team Building. 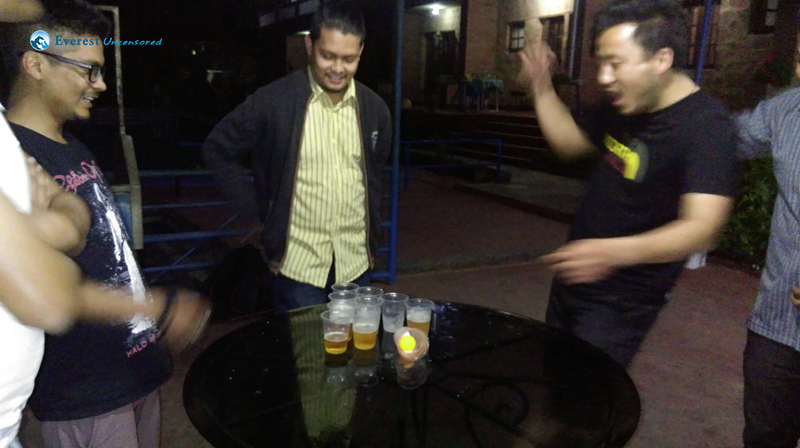 ‘Flip your beer cups’ and ‘Blindfold Snake’ were not only participative but were also fun and exciting. What could be more fun than having beer on every game? 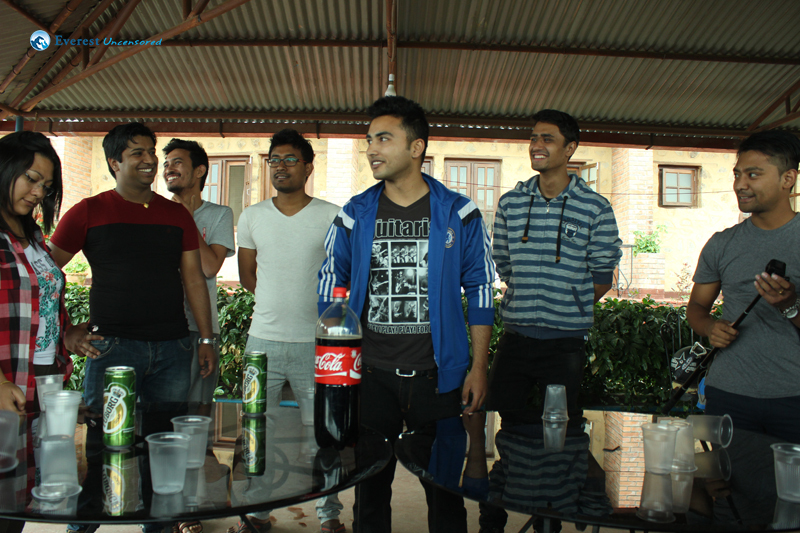 Once the fun-filled games were over, we were already hungry and ready for snacks time. 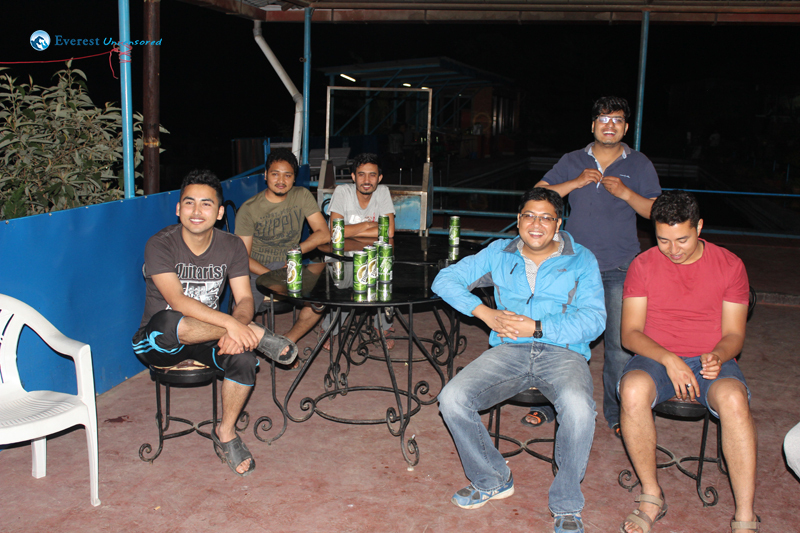 A bottle of beer and handful of snacks was all we needed for the time. 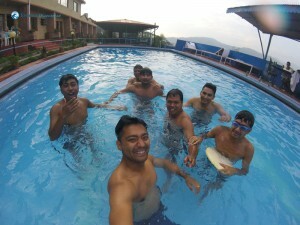 After about half an hour, most of the friends could not resist plunging into the swimming pool. 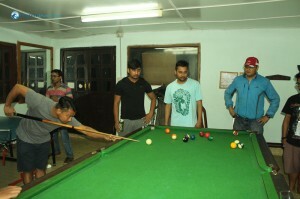 Pool and Table tennis could not entertain less for other friends enjoying the evening. Another nice service of the resort was to provide sound system for all your needs. 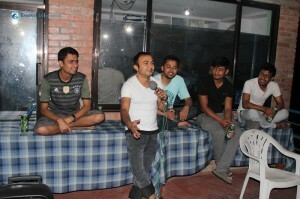 We could not let it go in vain without having ‘Open Mic Session’. It all started with dancing. Wouldn’t forget the slow-mo robotic dance. Then some singing sequences. We didn’t even noticed we were singing along the singer. 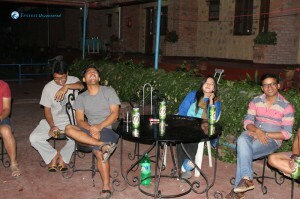 And then it was a turn for interested ones to tell jokes and sarcasm. 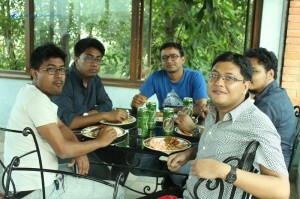 It was already 9:30 pm, when were notified that the dinner was ready. After a set of awesome set of dinner, we started singing with the beautiful acoustic melody of Sujesh Dai. I can bet some neighbors and other roommates too were singing along with us. No wonder, why squad C won the singing competition in Deerfest. I can bet some neighbors and other roommates too were singing along with us. No wonder, why squad C won the singing competition in Deerfest. 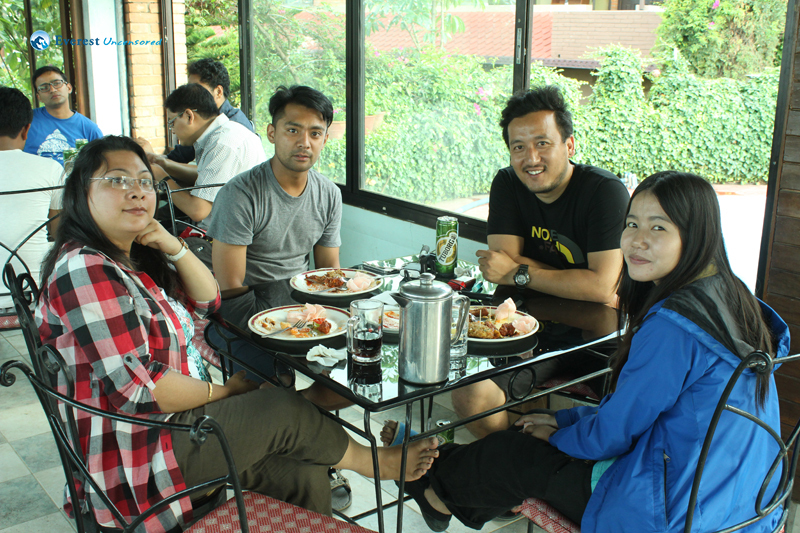 We had a lovely couple joining us for the acoustic session, helping Sujesh dai to create a mix of musicals. Well, ending the day was again more special. 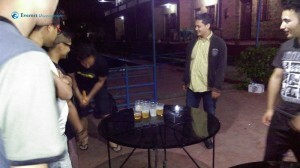 Most of us were drunk and we started playing ‘Beer Pong’. Who was keeping the track anyway? That was the end of the day, exactly at 12:00 am. The next morning was all clear and bright, except for hangover for some of our friends. There was no any specific plan for the morning, but it could not stop us from having fun with the Table Tennis, Pool and Swimming Pool. At around 9:30 am, breakfast was ready. There was still some time left before leaving and there was sun and the swimming pool was empty. 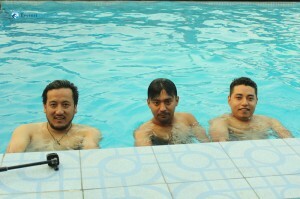 We swimmed for about one and half hour. 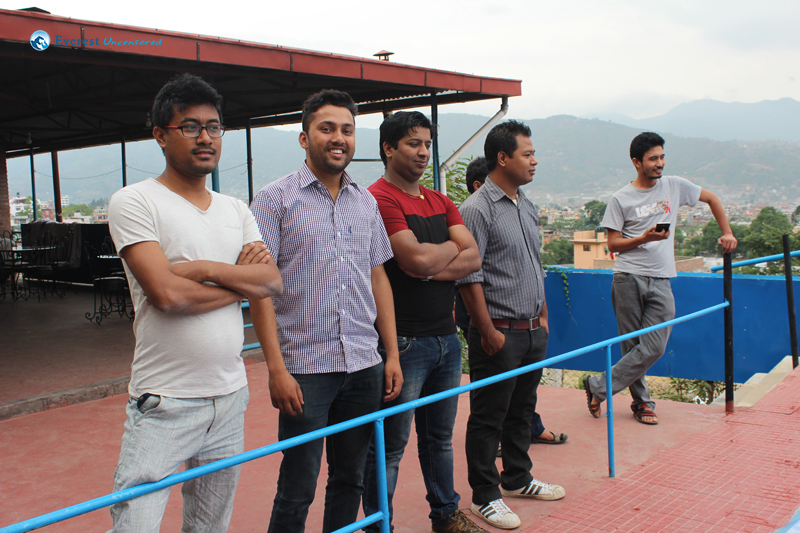 It would not be a complete outing without some photo shoot session. 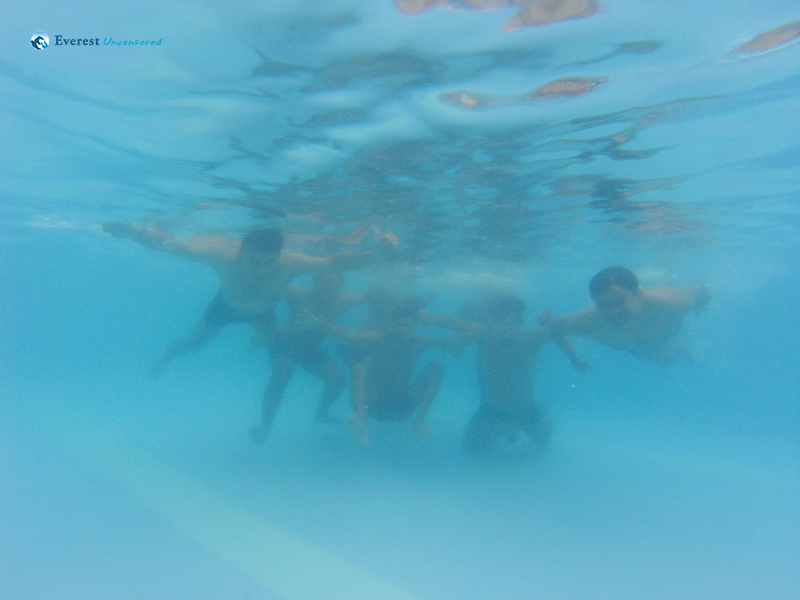 Underwater photo session, acrobatic jumps kept the enthusiasm alive. There were selfies, wefies, group photos and on. 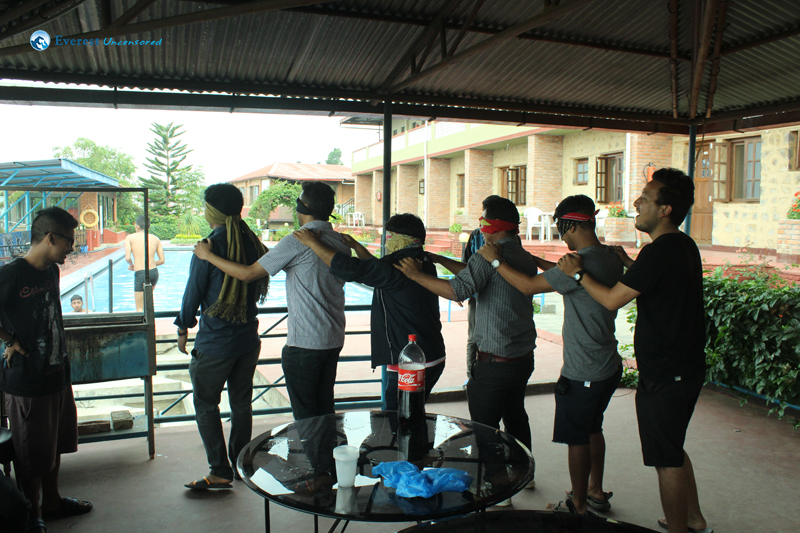 Lastly, we bid farewell by taking a group photo of all participants nearby the swimming pool. So long story short, we all were returning from the resort with a set of memories that will be remembered once in awhile and bring smiles in our face. I’ve joined the Deerwalk about five months ago. 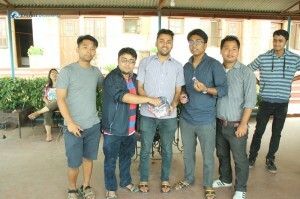 In sought of professional career and environment in Deerwalk, I met with Deerwalkers. Deerwalkers are not only the professional personnel but also entertainment seeking colleagues. 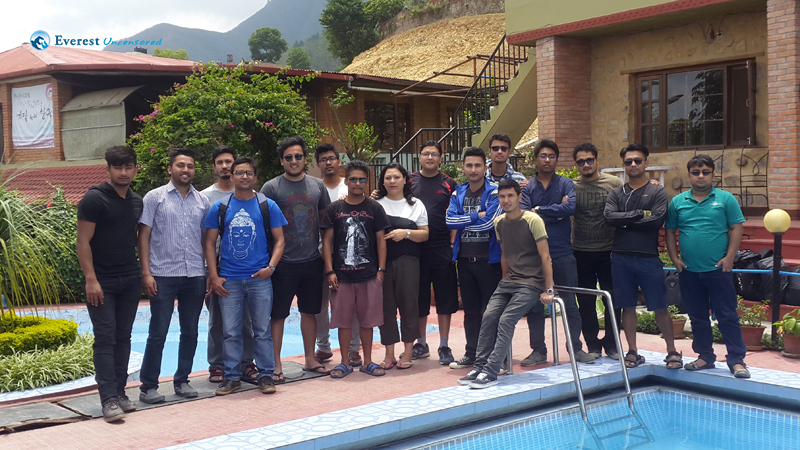 Meanwhile, I got the chance to join the outing program with Deerwalkers (SQUAD C) at Khushi-Khushi Hotel, Matathirtha. 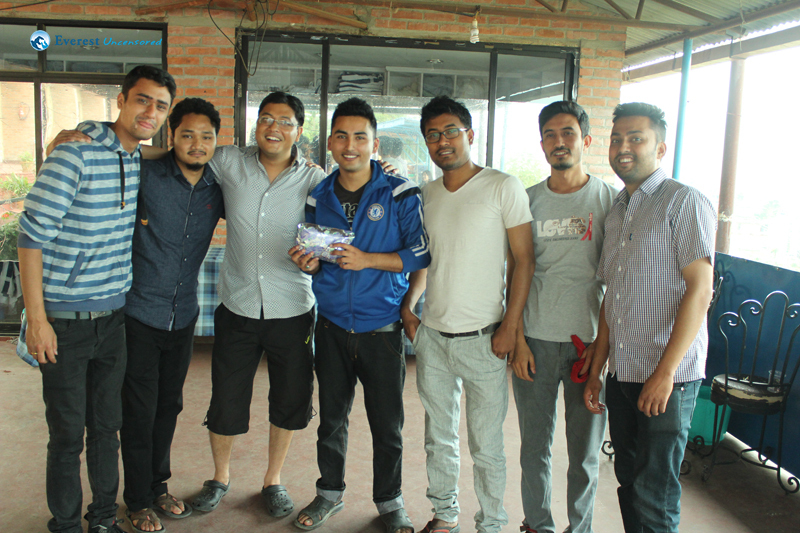 Though the schedule for the outing program was in rush, we started enjoying the adventure of outing . 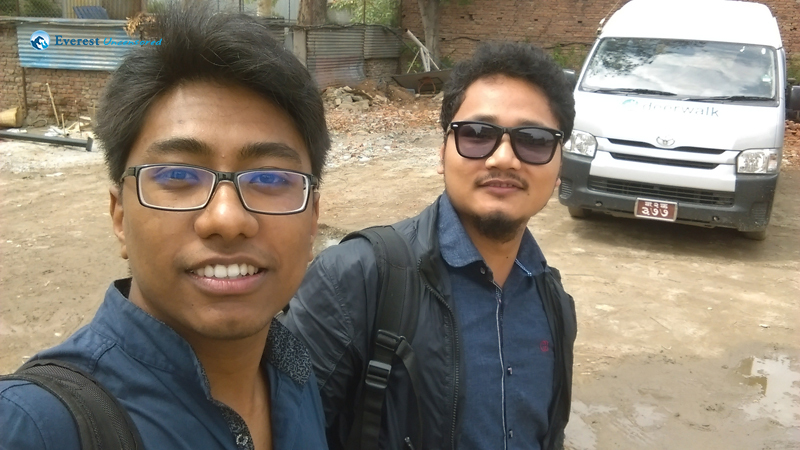 After few distance drive and lots of fun, we finally reached the Hotel. I was really amazed with the scenery from the Hotel. The view of Kathmandu valley with the background of greenery and a pool just made me “wow….”. 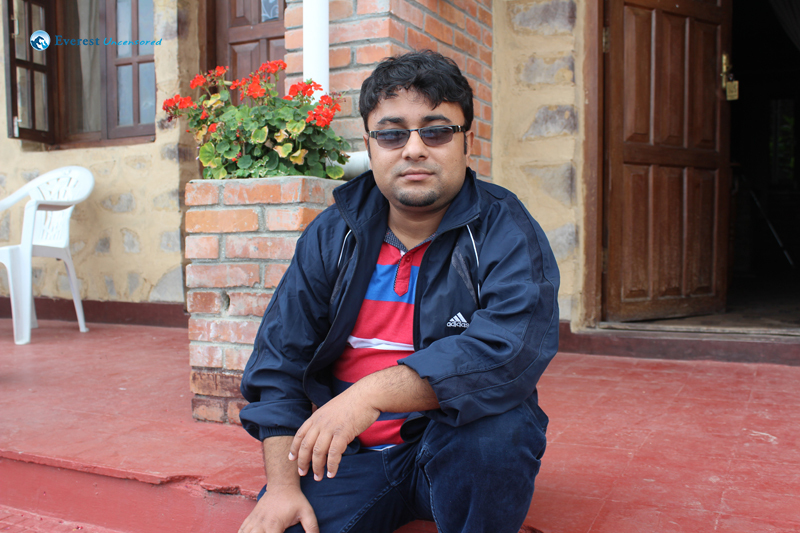 I was really amazed with the scenery from the Hotel. The view of Kathmandu valley with the background of greenery and a pool just made me “wow….”. We rushed to our rooms in the hotel and threw the bags. Then the fun began. 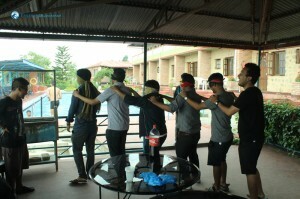 I loved the Team-building games: hidden treasure and drinking games, specially the chocolates. 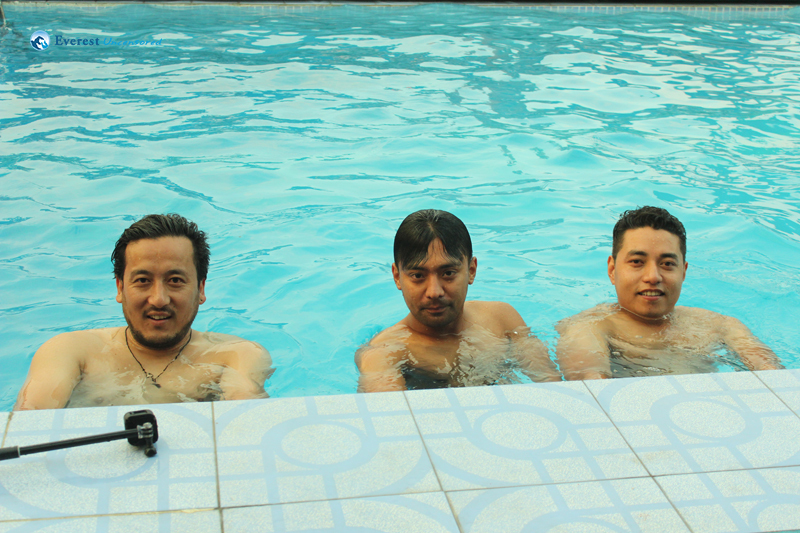 My room-mates didn’t think twice before jumping into the pool. 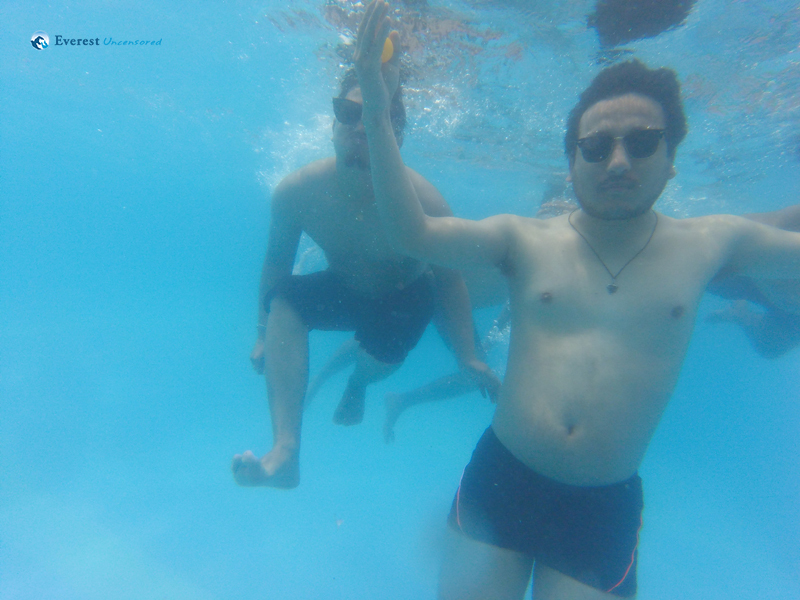 It was the first time I tried swimming in the pool. At 4:30 PM, We had the snacks and drinks. I got to know more about the Deerwalk and Deerwalkers . That was an amazing experience. 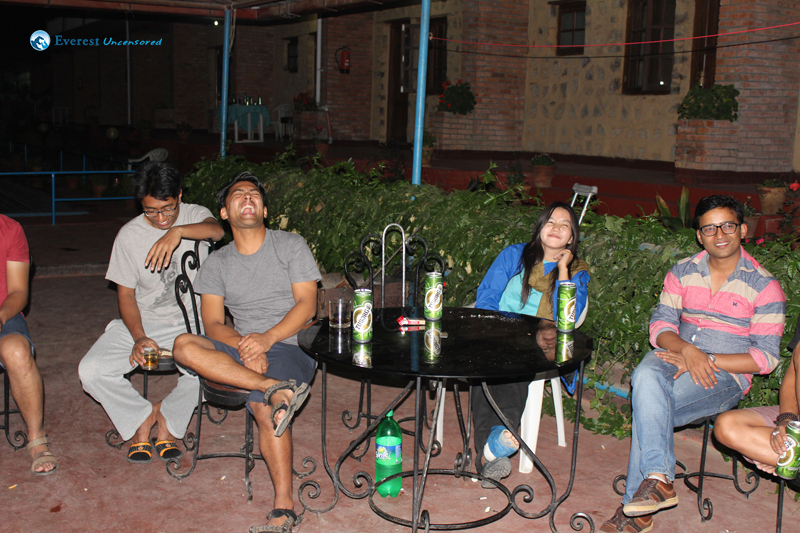 The fun intensified after we grouped together for the dance. We danced…danced… and danced till the dinner at 8:30 PM. After the dinner and some rest, the night became more awesome with the soothing songs and music from the team members. Then I went for the rest and sleep. At morning, I woke-up with the music of splash from the pool. 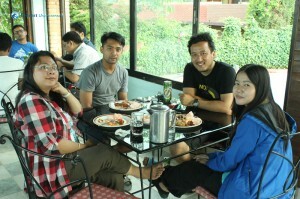 We then had breakfast. The fun we did will be remembered forever.